The Aspen Institute is an educational and policy studies organization based in Washington, DC. Its mission is to foster leadership based on enduring values and to provide a nonpartisan venue for dealing with critical issues. The Institute has campuses in Aspen, Colorado, and on the Wye River on Maryland’s Eastern Shore. It also maintains offices in New York City and has an international network of partners. The Aspen Institute is a non-profit force for good whose mission is to convene change-makers of every type, established and emerging, in order to frame and then solve society’s most important problems. 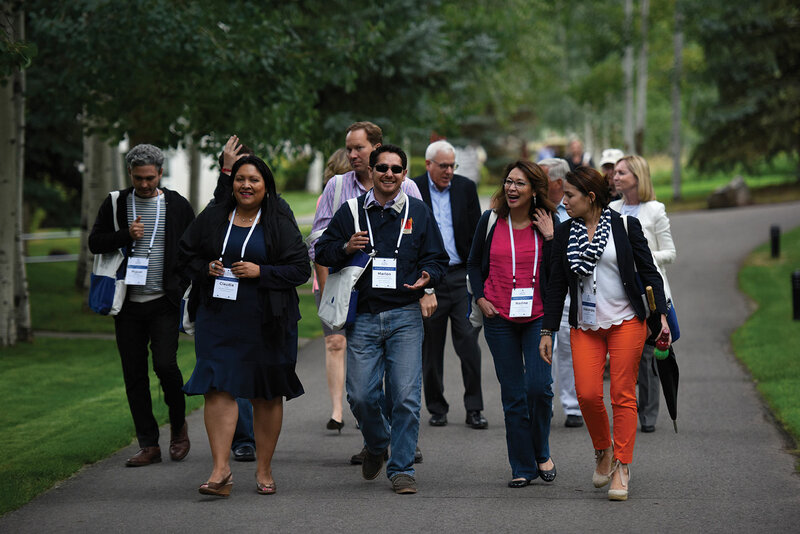 Our programs—from the Aspen Ideas Festival to the Resnick Aspen Action Forum to the policy discussions held around our seminar tables—bring together diverse voices with a shared commitment to improving the human condition.